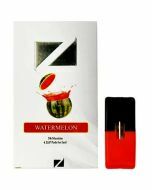 Enliven your senses with the refreshing minty flavor of ZiiP Mint Pods. 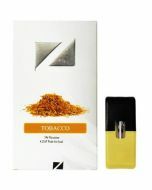 The high-quality e-juice is packaged in pods designed to fit the Juul e-cigarette and is available in four nicotine concentrations. Each pod is equivalent to one pack of cigarettes, and you'll receive four pods in each package purchased. ZiiP Lab S.A is committed to providing vapor enthusiasts with high-quality e-juices for their devices. 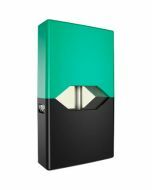 The company manufactures e-juice pods that fit a wide range of popular vaporizers, including the Juul, Von and Bo. 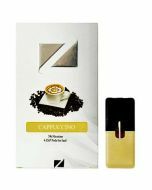 Their delicious flavors are a treat for the taste buds, and each e-juice variety comes in multiple nicotine levels to suit your needs. ZiiP Pods are specifically crafted to fit the JUUL devices, while providing more choices in flavors and nicotine strength. The replacement pods are available in 18mg (1.8%), 30mg (3%), 40mg (4%), and 50mg (5%) nicotine strength. 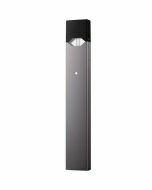 ZiiP pods are also a better value than the original JUUL pods as they give you an extra 0.3ml of e-liquid. 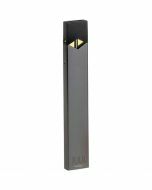 Original JUUL Pods are filled with 0.7ml of ejuice, while the ZiiP pods contain 1.0ml. 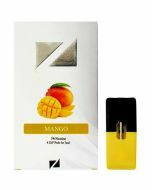 ALL juices are proprietary and specifically formulated by ZiiP Lab S.A for this device and pod. Formulation creates the perfect amount of throat hit and available in 18mg (1.8%), 30mg (3%), 40mg (4%), and 50mg (5%) nicotine strength.